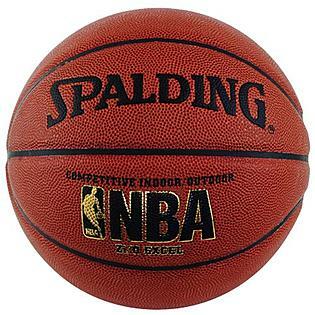 This is the summary of consumer reviews for Lifetime 71525 In-Ground Basketball System with 54-Inch Shatter Guard Backboard. The BoolPool rating for this product is Very Good, with 4.10 stars, and the price range is $319.98-$450.00. 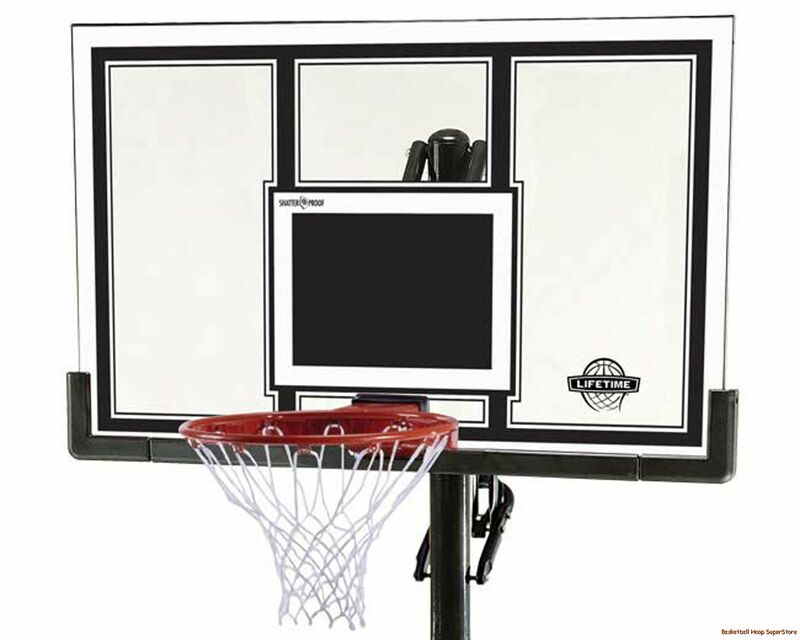 The Lifetime 71525 In-Ground Basketball System offers a clear 54" x 33" x 1" square Shatter Guard backboard screen printed with UV-protected inks for fade resistant color. The 3 piece, 3.5" round Power Lift Pole is powder coated with a gray hammertone, rust resistant finish. It is very easy to adjust height of the hoop with a pneumatic lift mechanism. 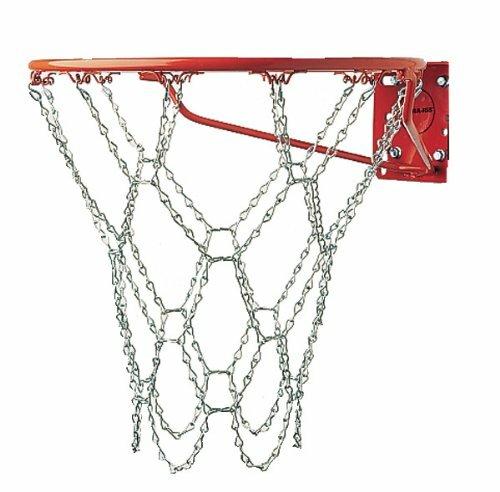 An Arena-Style Slam-it Pro Rim features wraparound bracing supporting a 5/8" ring of solid steel, double compression springs to provide spring-back action, welded steel net hooks and an all-weather nylon net. It also comes with a blow-molded backboard frame pad for protection. Reasonably priced and well built, the system is easy to install as long as you follow the instructions precisely. It comes very well packaged and you can buy optional ground sleeve to make installation easier. 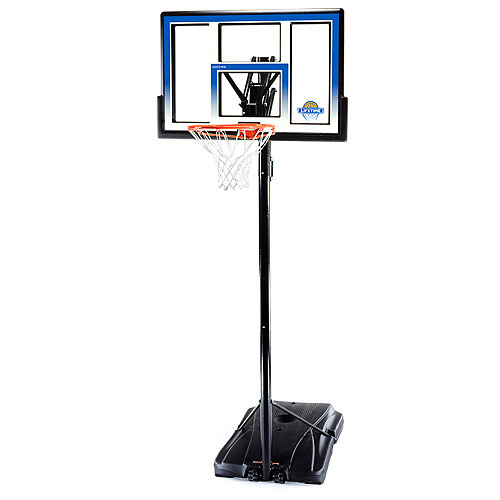 With a wonderful design, the Lifetime 71525 In-Ground Basketball System with 54-Inch Shatter Guard Backboard is sure to be fun, sturdy and very durable. I used the optional in ground sleeve and the unit sits firmly in the ground. We purchased the ground sleeve which made it even easier. We dug our hole a little deeper than the instructions stated - I think ours sits about a foot lower in the ground, so it's not "regulation" height, but that's OK with us as we're not serious BBall players. Plus he can adjust the height himself easily. I'd recommend that you purchase the sleeve for the post, makes it much easier to install the post into the ground when the unit is complete (well worth the extra few dollars) - and you can then build the whole thing on the ground and just slide it into place (much better than trying to hold everything on a ladder). The installation instructions could have been a little more clear, in a few places, but there aren't many parts to it was easy to figure out. We ordered the sleeve - and then decided it wasn't necessary for installation, so you may want to skip worrying about that extra $30 cost. (My hubby thought the pole should be about a foot longer than it's to really secure it in the ground - that's why we lost the foot. It's a wonderful design and easy to adjust the diferent heights. I'm extremely happy with this product and even though it falls on the lower price range of most hoop assemblies it doesn't sacrifice quality or safety. In the end the unit was installed and the height adjustment feature works well. It's easy to adjust the height of the rim. Took about 2 hours to place the lower pole and about 6 hours of installation of the backboard & pole system. I hired someone to install the pole cost about 200 plus materials. Poured the concrete as instructed and waited for 3 days before installing the rest of the system. 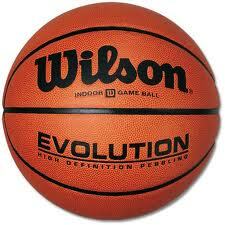 I was hoping the rim wouldn't bounce when a ball hits the rim, but this one is just like the rest. I'll be looking for an after market replacement rim if one exists. It went up well and is sturdy besides the rim I like it. The basketball "system" came well packed and on time. It's a top quality goal and plays well. 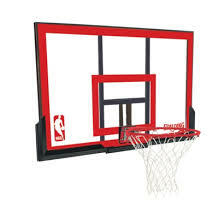 This basketball goal is sturdy and of good quality. Boys love the easily adjustable height. 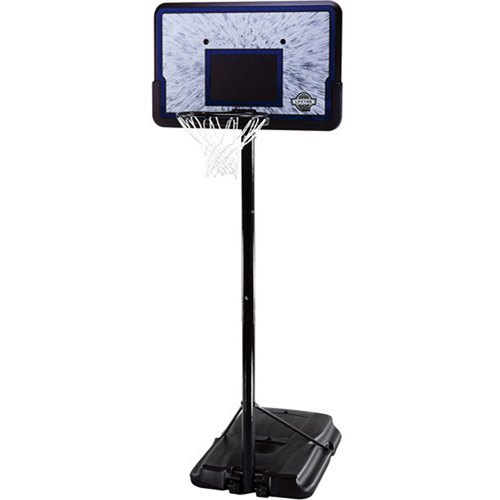 The lever are which allows the height adjustment of the basketball goal wasn't in the package with the goal, backboard and pole. 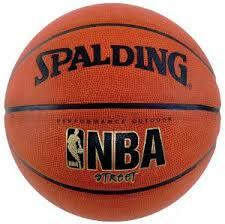 Some complaints say that it's nothing like playing on a real basketball goal or it shakes to much, etc. Well, it's an outdoor goal and nothing more. 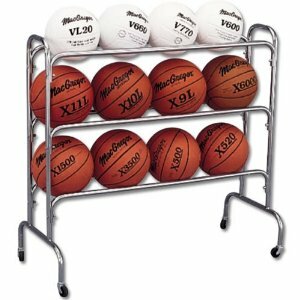 Everything I was looking for in an outdoor basketball goal. Should have spent more and gotten a better quality item. My kids and their friends are very hard on basketball goals. I do appreciate the height adjustment mechanism since it seems less likely to cut/pinch fingers since it relies on a pneumatic plunger tube vs a U shaped slide with many sharp edges like my old basketball goal adjustment system. Unless I'd more cash to spend on a better $$$ goal. There were no missing parts, no misaligned bolt holes. I highly recommend laying out the parts in order of the instruction pages (NOT how I did it) as you'll find a couple of parts that you DON'T need at all on the parts list (believe me I checked and re-checked). I gave it 4 stars as the directions weren't always written out clearly, although the diagrams did a fairly good job of showing the parts and part numbers from the inventory list. I was missing a few parts, but I contacted Lifetime and they shipped the parts quickly! I'd say the hole/pole install was about 2-3 hours (including digging) and the final stage another 3-4 hours- mainly because the "directions" as I looked at them were just a list/diagram of parts- so half the time is spent identifying parts. Overall I'm happy with product and my kids love it. After laying out the parts, I discovered 2 wrong bolts & nuts. In summary, plan ahead - 3 days (+) for the concrete to truly cure & at least 1/2 a day for part layout, assembly and installation. Some of the parts were difficult to distinguish and identify during assembly, and one of the self-tapping screws snapped off on the second-to-last step. One note, pay attention to the directions as the spring in the adjustable portion is very powerful and a little tricky to assemble the parts. Pros: reasonably priced..well built..easy to assemble..adjustment mechanism works properly. It's gone up in price, but looks and feels as good as a unit 2 to 3 times the price I paid. For the price, it's a very nice unit. This's a great product, especially considering the price. It's a great quality product and a great price. We shopped around for months checking prices and durability. Thanks LIfetime for a great product and Thanks Amazon selling it at a very reasonable price. We searched for many systems and comparted prices. The price is right for a home driveway hoop. All that said, moving the rim height is a snap, and the price for the goal was very reasonable.